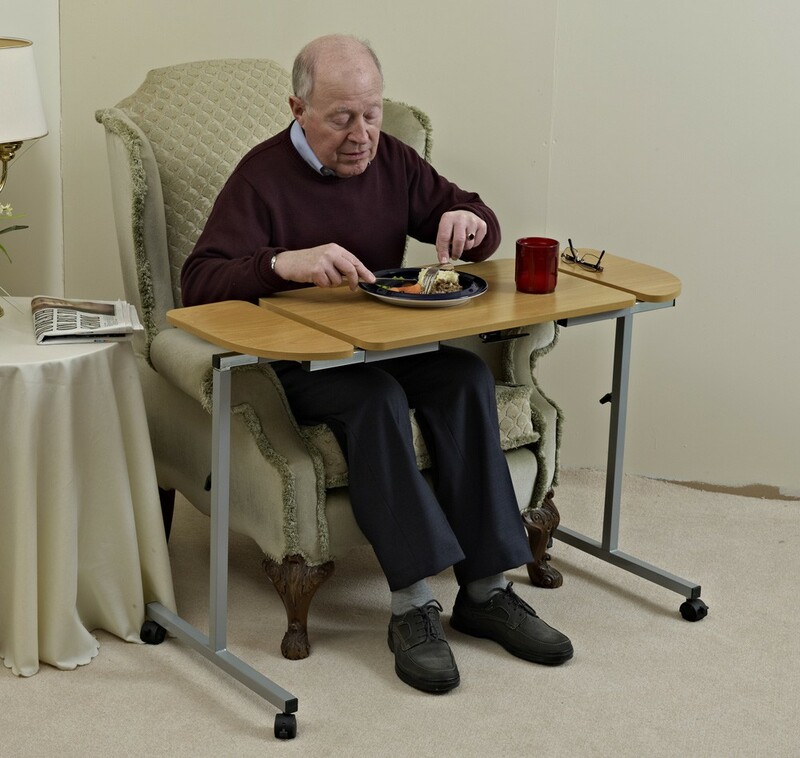 Ideal for use when eating, drinking or other activities, while in bed or sitting in a chair. 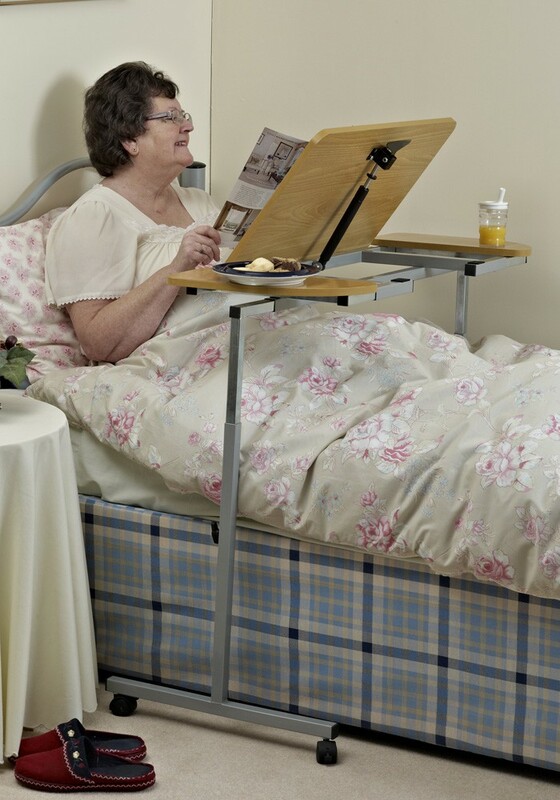 This versatile table is height and width adjustable for use over a chair or single bed. 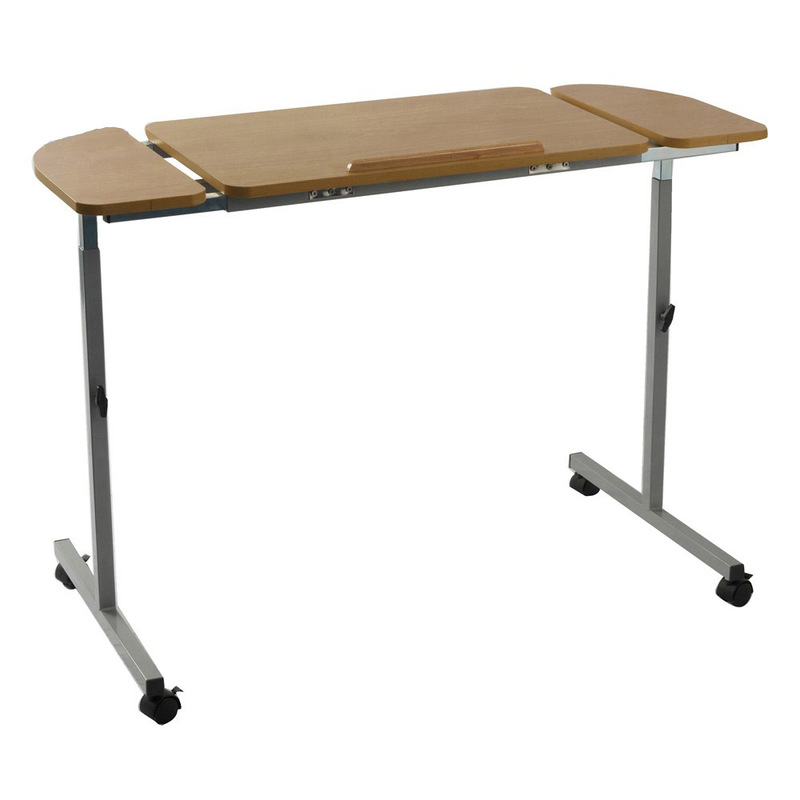 It has a central laminated table top that can be easily tilted to 55°using a simple lever. It also has removable side tables on each side to provide plenty of space. 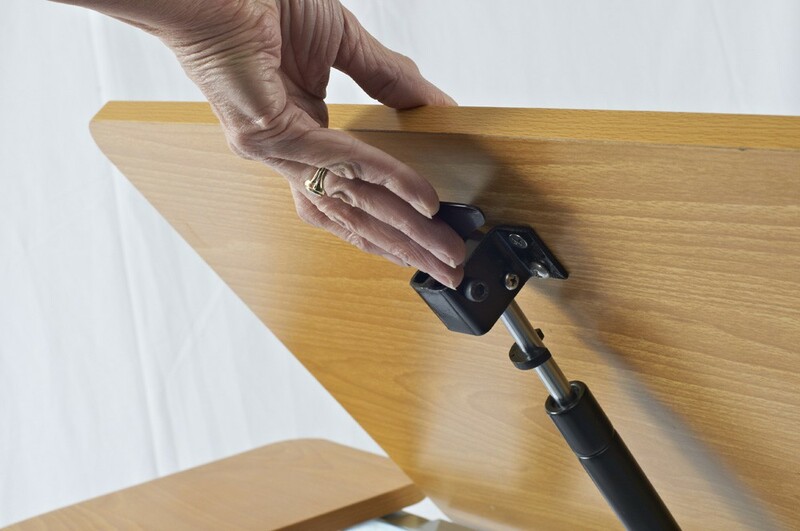 Fitted with four locking castors ensuring stability on most surfaces. It is easy to self assemble and no tools are needed.